What Is Infinix XOS 4? Okay, now if you’ve been a longtime user of Infinix smart phones, then first of all you should know that XOS is Infinix’s own customized skin that is proprietary to their phones alone, just the same way Samsung has Touchwiz which has now been changed to Samsung Experience or Samsung’s One UI, Huawei also has EMUI and so on.. 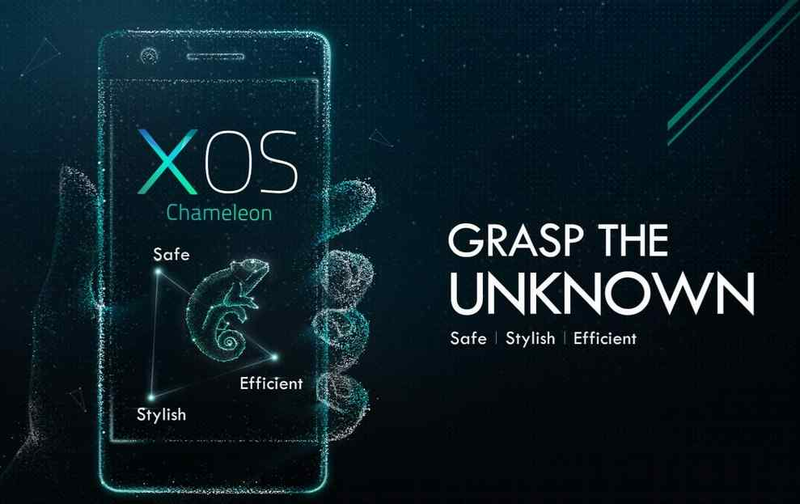 So almost every brand of smart phone out there has their own take and different flavors of customised UI, and XOS is Infinix’s own take on it. So having known that, now XOS 4, codenamed Honeybee is the latest and fourth addition of Infinix to its XOS customized UI family. It packs a ton of new features which will be listed out shortly and it will probably be coming out first on the upcoming Infinix Zero 6 flagship phone by early January next year, and after that, it will slowly begin rolling out to other supported Infinix smart phones. 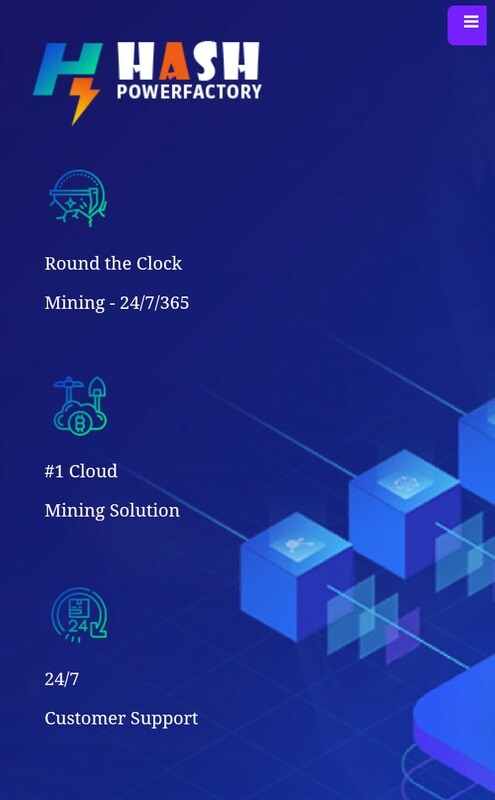 What Are The New Features Of XOS 4 Honeybee? Okay like i said up there before, some features which are labeled as new here, are things that we are used to seeing already on older versions of XOS, and as for me personally, i think this whole thing is just overhyped.. 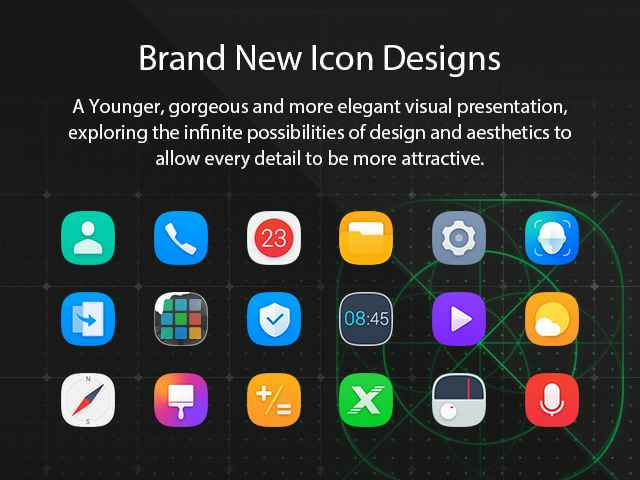 Okay so for Brand New Icons, well i guess you already know what it means, XOS 4 is gonna come with a younger, gorgeous and more elegant visual presentation, exploring the infinite possibilities of design and aesthetics to allow every detail to be more attractive. 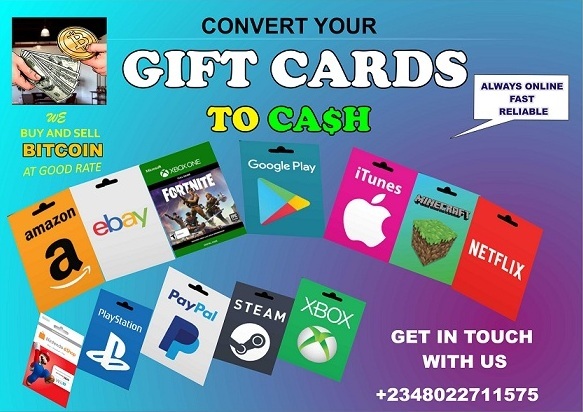 Now in case you don’t understand all those big big grammar up there, well, i don’t understand too, that was what Infinix said, not me, so i bet we’re just gonna have to wait till we see the visual presentation with our eyes. 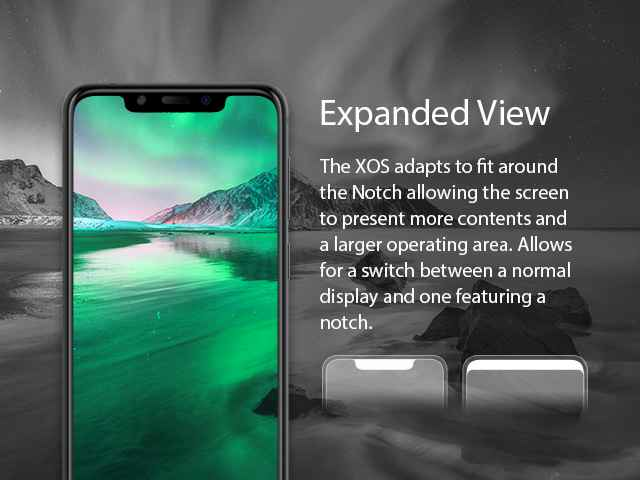 Expanded View let’s XOS adapts to fit around the Notch allowing the screen to present more contents and a larger operating area. Allows for a switch between a normal display and one featuring a notch. 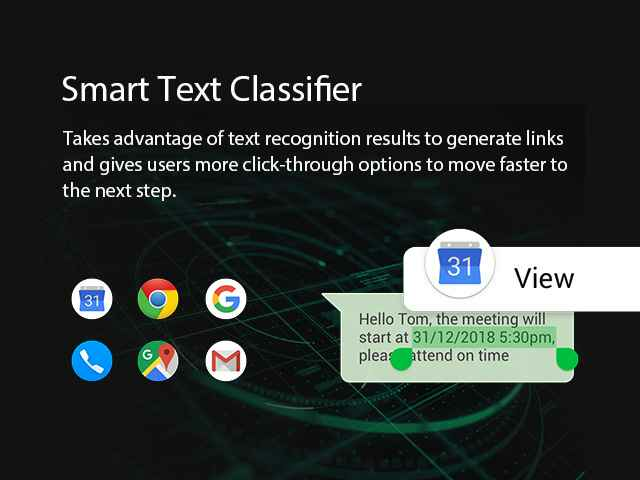 Smart Text Classifier Takes advantage of text recogniton results to generate links and gives users more click-through options to move faster to the next step. 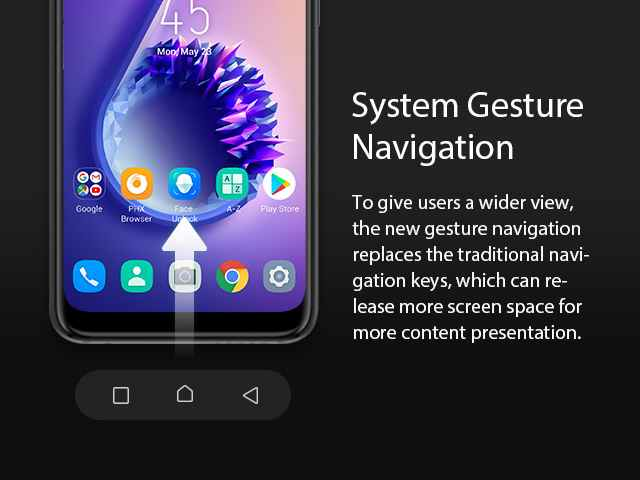 System Gesture Navigation, simply replaces the traditional old button navigation style to the now new gesture navigation that came with Android 9.0 Pie. 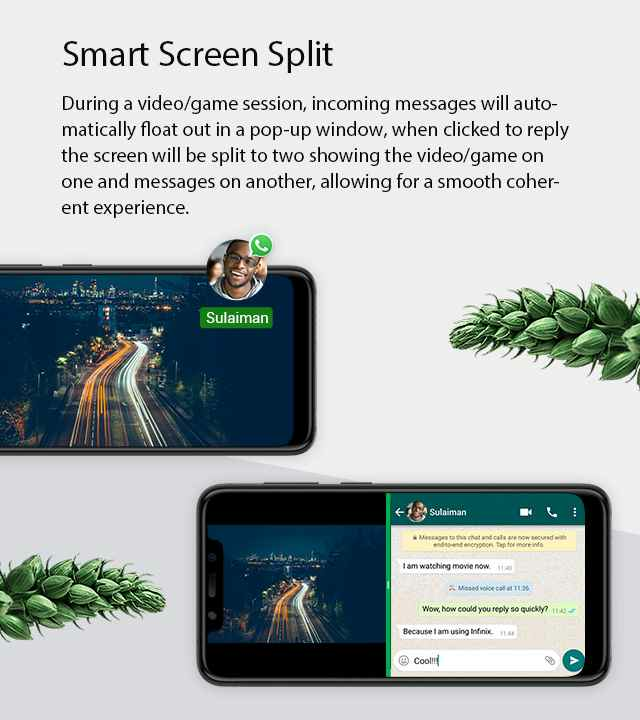 Now for Smart Screen Split, during a video or gaming session, incoming messages will automatically float out in a pop-up window, when clicked to reply the screen will be split to two showing the video/game on one and messages on another, allowing for a smooth coherent experience. 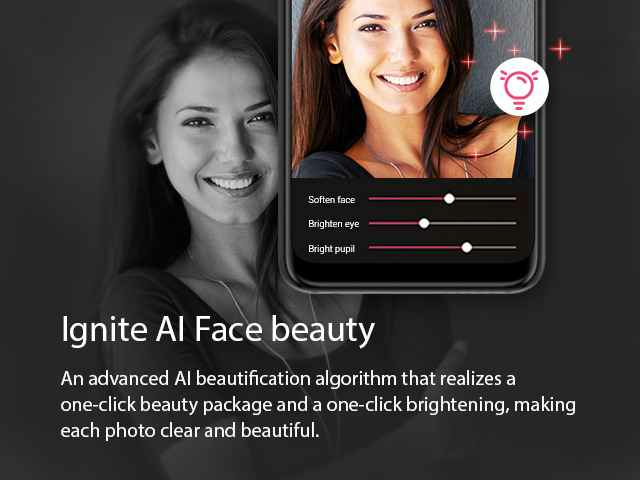 Ignite AI Face Beauty is an advanced AI beautification algorithm that realizes a one-click beauty package and a one-click brightening, making each photo clear and beautiful. 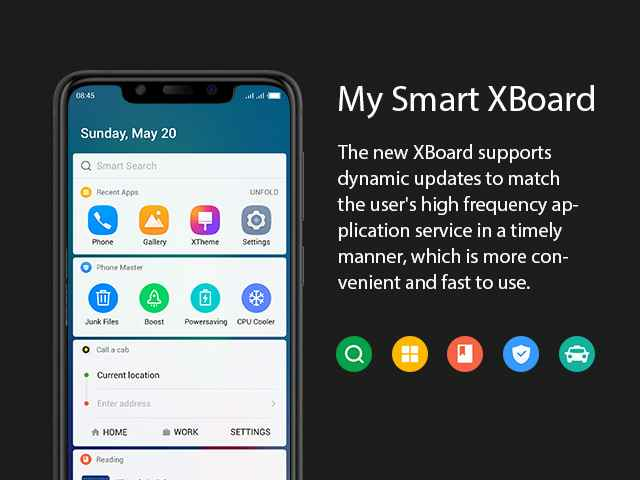 My Smart XBoard is a new XBoard supports dynamic updates to match the user’s high frequency application service in a timely manner, which is more convenient and fast to use. 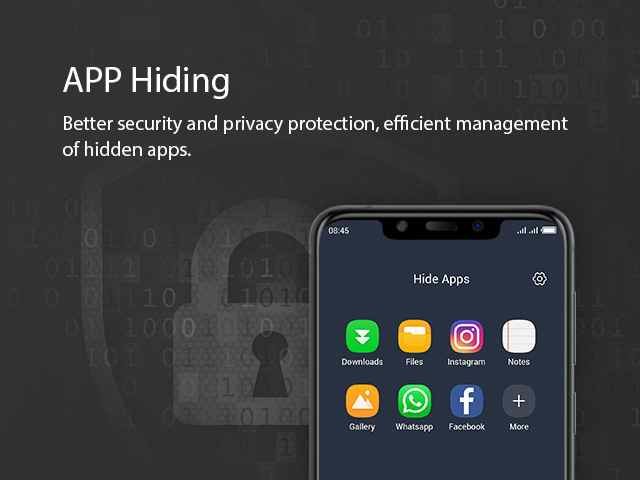 App Hiding offers better security and privacy protection, efficient management of hidden apps. Similar to what you’d get on Infinix Xhide. You can read about it here. 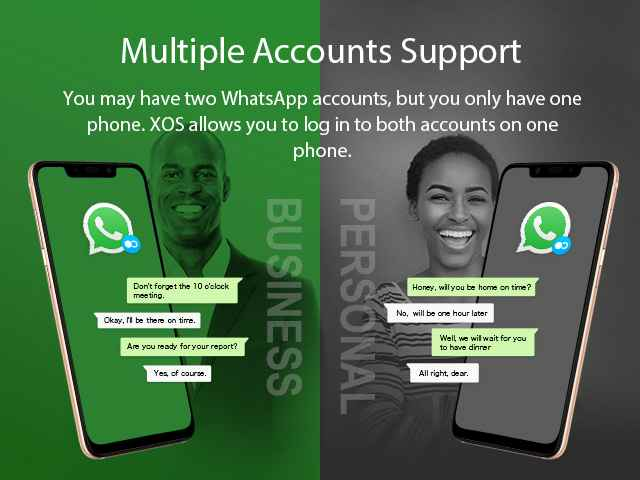 Multiple Accounts Support is another thing that we are already used to seeing on older Infinix phones too. It simply lets you run two accounts of the same social network on one phone. For example, lets say you have two WhatsApp accounts, which you and i already know that you can’t log in more than one Whatsapp account om a single phone. But with the Multiple Accounts Support, you can log in both accounts on the same phone. Same thing with other social media accounts that you own too. 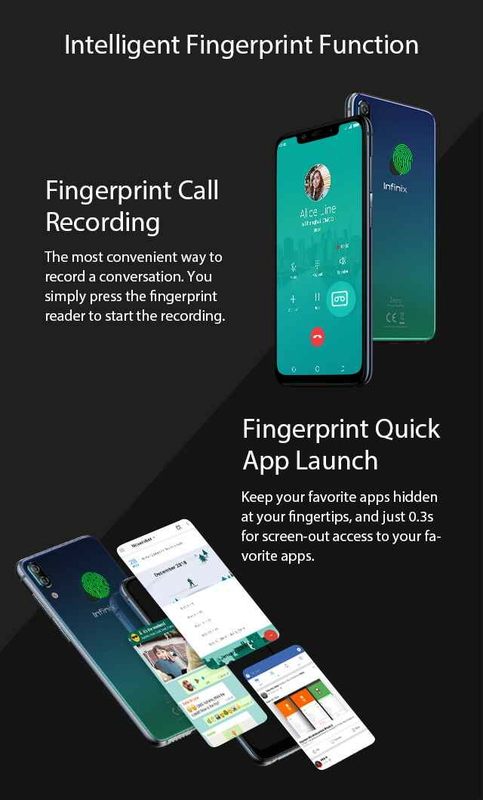 Fingerprint Call Recording, well you know what that means, it has been around already for a while now, but i don’t still for a life of me know why these guys at Infinix are labeling it as a new feature. While you are on a phone call, just place your registered finger on the Fingerprint reader, and the call starts recording immediately. Fingerprint Quick App Launch let’s you assign a single app to your fingerprint reader, so once you tap on it, boom, the app comes to life. And as for the last but not the least, now first of all, this is not that much of a very new feature, but it is actually gonna appear as a new feature to many, probably because they’ve not heard of it, and formally it was included as native feature on the older versions of Infinix XOS UI. So what is it? 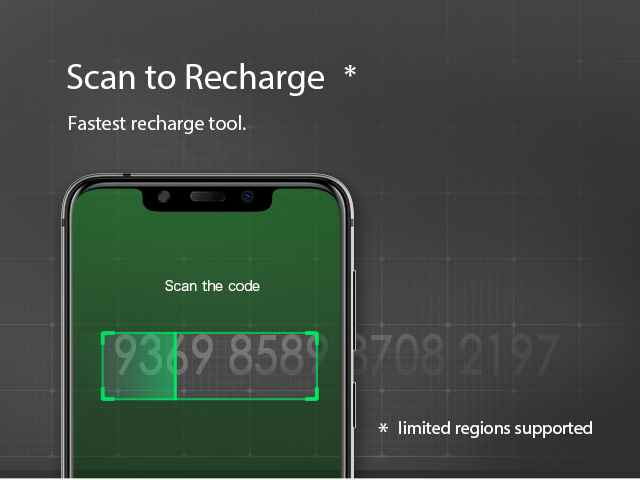 Scan To Recharge. Kindly like, share & drop comments. Previous Previous post: Album: Kizz Daniel: No Bad Songz MP3. Next Next post: The Ultimate WordPress Website Launch Checklist E-Book.